Heavy Duty Frame & Structured Framework Brings In Greater Strengths & Stability. World’s Super Steel Hub & Taper Roller Bearing Low Maintenance Cost. Reliable & Heavy Duty Hydraulic Cylinder That Works Under Varying Work Conditions. 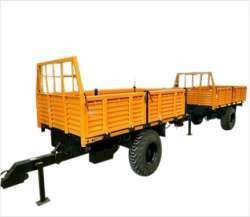 Durable Hitch Forging Transportation Hitch Manufactured By Forging. Axle Are Used Well With In Their Design Capacity Not On The limit e.g. 100 Mm Axles Are Fitted To Our 10 Tonne Capacity Trailers But Are Commonly Used On Other Manufacturer’s 12 Tonne Capacity Trailers.